A lot of attention is given to liner thickness these days and for good reason. After all a pool liner is the heart of the pool and being the heart shouldn’t it have the thickest liner possible? We have created a chart that compares gauge and mils to show the differences when you come across either term. This will help clarify the measurement system and provides a “safe zone” to guide you in your purchase. Below 20 mils and 17 mils the liners begin to get to thin and can easily puncture. You can certainly get a thick 25 mil liner but keep in mind that it will carry a higher price. Installing the thickest liners can be challenging without good weather conditions. This safe zone takes into account everyone involved at replacing a pool liner from the customer right down to the installer. You want to understand a few facts concerning above ground pool liners. First rule is, you shouldn’t compare liner thickness with an in-ground pool liner. Many people naturally think if it’s good for an in-ground then it must be good for an above ground pool. This is not the case since an above ground pool cannot handle a thick pool liner that an in-ground pool uses. In-ground pools have much harder walls that stop earth from moving inward so they can handle a very thick liner. At the same time you ask in-ground installers and they will tell you know the thicker the liner the harder it is to install. Above ground pools have a thin wall and are not built to hold back earth so a having a thicker liner that an in-ground pool utilizes is fruitless. An above ground pool has different specifications and therefore requires different style liners. 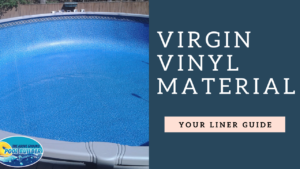 Most above ground pool liners are constructed with a thinner material on the floor of the liner compared to a thicker material on the side-walls. Side-wall material is manufactured on rolls about 4’x 1000’ and placed in inventory. Side-wall material has the patterns already on the top, then the liner goes onto bead manufacturing and then final material is added for the bottom (foot traffic area of the liner). The floor section is produced differently because its manufacturing process is different. The material used tends to be thinner than the side-wall material since it is easier to produce thicker materials that fit on inventory rolls. This allows the manufacturer to switch patterns more easily. You will notice that the bottom material is usually the same on all liner bottoms. It is only in recent years where more bottom patterns are being introduced. The good news is that it not difficult to get quality pool liners. You will need to know a couple terms first and keep them in mind when looking for a liner. Make sure the liner material is virgin material. Make sure the liner seams are double welded. 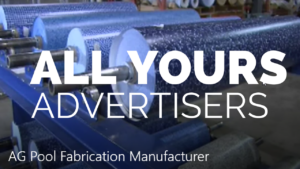 Ask the advertiser for the Mil thickness of the bottom material and side-wall material used in manufacturing. 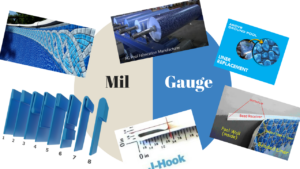 If you cannot get Mil thickness, then you are probably better off not buying from that source. Keep in mind that the lower the price will get a lower the quality liner. 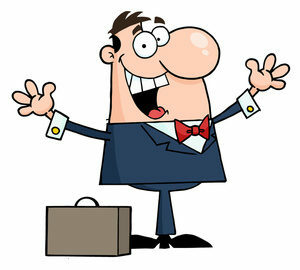 Also beware of the advertising gimmicks used; they often try to distract the buyer from the measurements. Real liner thickness will have a matching price tag that makes sense. Some manufacturers allow their distribution network to apply their own thickness descriptions. Pool liners are not regulated and can be sold as is and under false pretenses. Try to opt for quality manufacturers and only deal with companies that can offer you the above requirements. The best way to care for a pool liner after installation is to take care of your pool’s water chemistry. It doesn’t matter what system you sanitize with if you’re not doing a good job with pool water chemistry. This will have the biggest impact on how long your liner will last. If you have a good quality liner and water that is well cared for it can result in this pool liner lasting in excess of 10 years.